Considered a spiritual brand, Black Scale create clothing that aims to evoke emotion and create discussion, with designs heavily influenced by religion, death, identity and government. Despite this dark message, their apparel is surprisingly fresh. 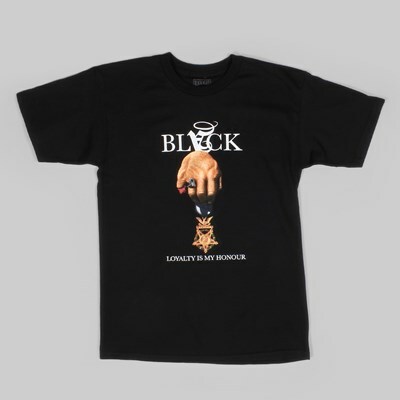 Black Scale are more than just a clothing brand, they are a lifestyle brand with a strong message based around the balance of energy within the universe. This unique persona has caught the eye of the high fashion world as well as many hip-hop and subcultural celebrities.